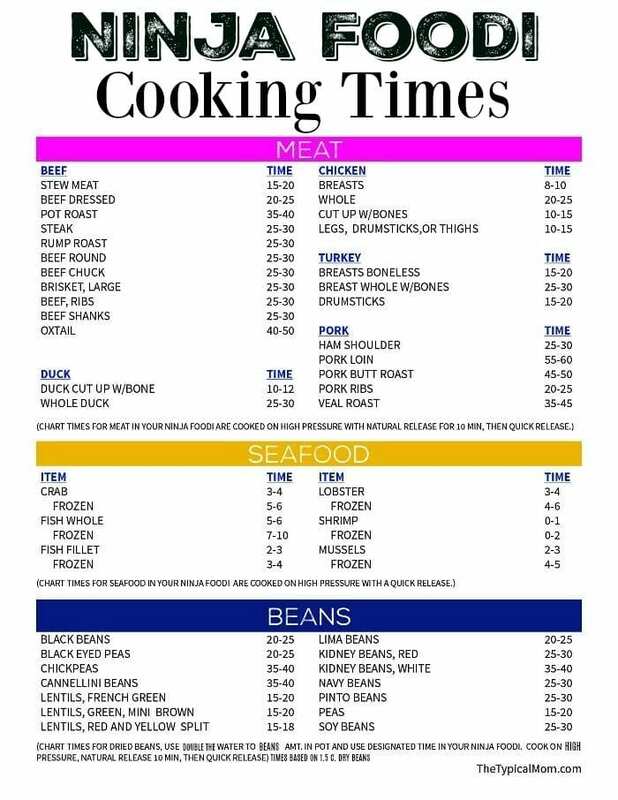 Free Ninja Foodi cooking times printable for meat, seafood and beans in your pressure cooker and air fryer appliance. We are here to help with recipes too! In case you’re still scratching your head and wondering whether you need this new kitchen appliance or not we have also done a post about the Instant Pot vs Ninja Foodi to show you the differences and why we say you need BOTH. Here’s where to buy Ninja Foodi you can do so below and have it shipped right to you…that is my kinda’ shopping!! Here is one of ours….handy dandy……. 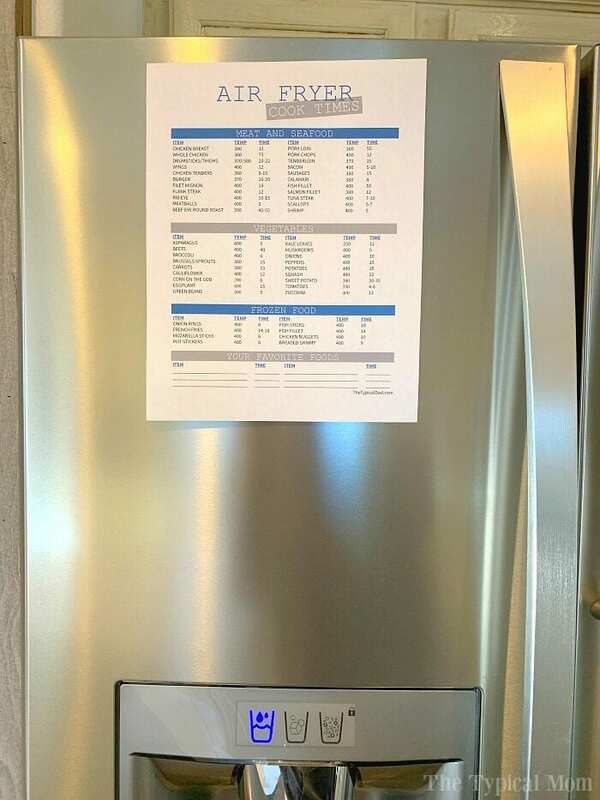 Print this free Ninja Foodi Cooking Times Printable and stick it on your fridge so you have an idea of just how much time each piece of meat or dry beans will take in your pressure cooker and air fryer machine! How soft you like your beans – if you want pressure cooker refried beans you’d want them much softer and would need to set it for more than the max. time shown vs a pressure cooker ham and beans. The amount of dry beans you’re cooking at a time, times are based on 1-1.5 c.
Dessert – This is how long to cook a Ninja Foodi cake. 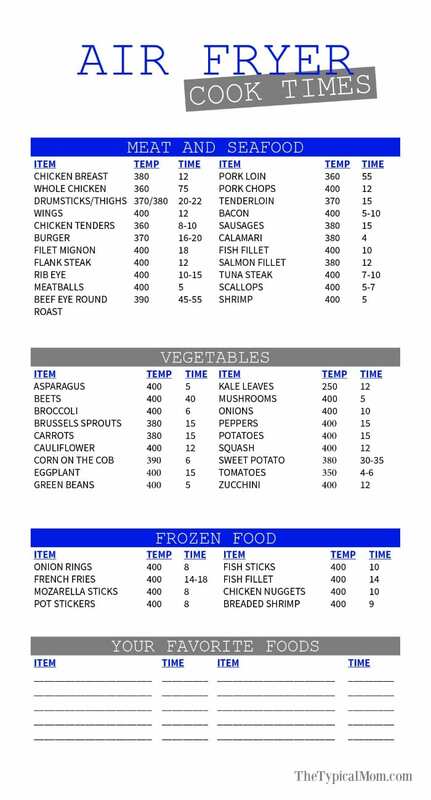 If you need an air fryer cooking times chart we have that as well here. Feel free to print this air fryer oven cooking times chart as well that will be helpful when you’re using that function. Find all of our air fryer recipes here and bookmark our site because we’re adding more on a weekly basis!